Our yellow rose bud lei. Perfect for all occasions! 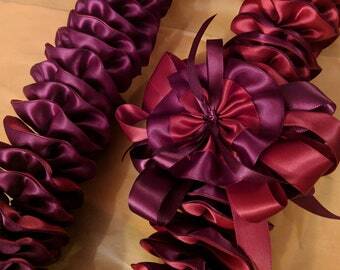 This lei uses 200 yards of satin ribbon to create this beautiful lei. 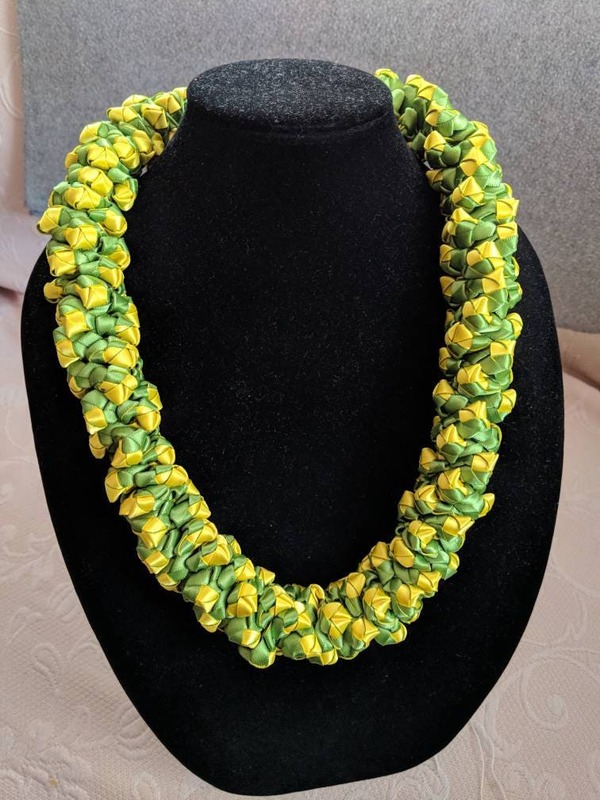 Approximately 30" in length, this is meant to be choker style. Finished off with kukui nuts and ribbon to tie behind the neck. This one is ready to ship.